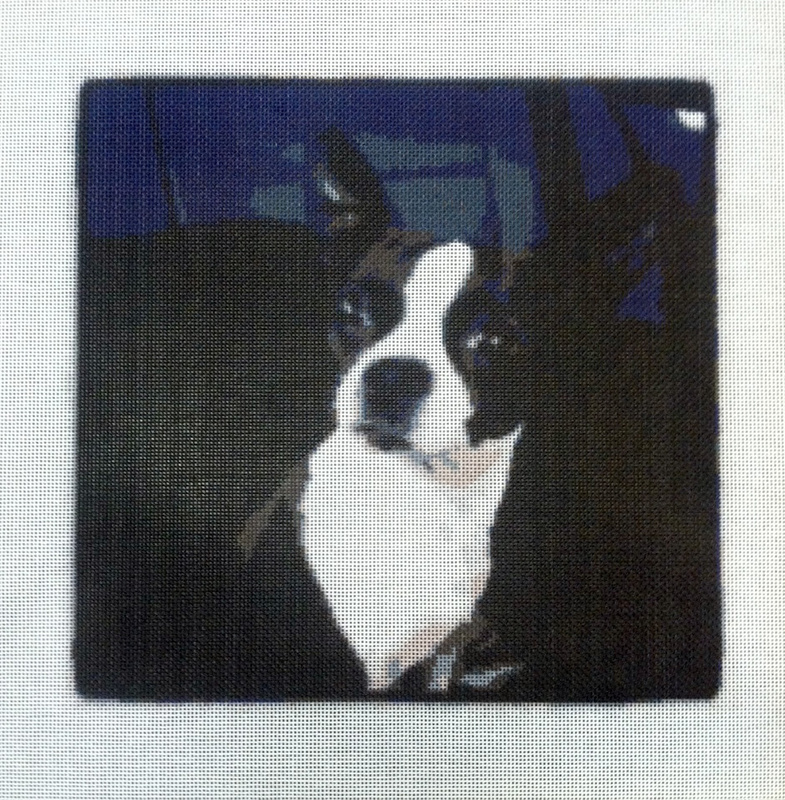 We’re always looking for more cute dogs to needlepoint! 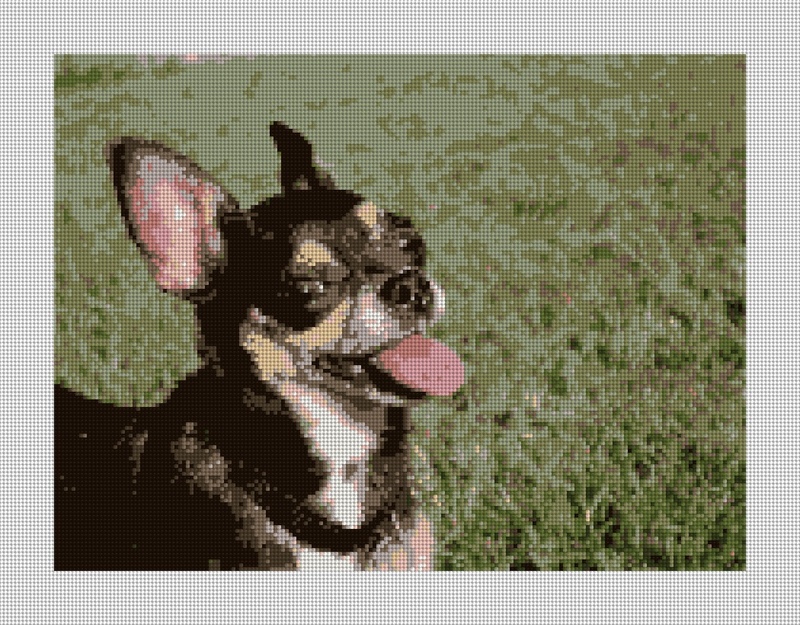 This new Chihuahua needlepoint kit is 13 inches wide and 9.7 inches high on a 16 x 13 inch 14 mesh canvas. I love weddings, and what better gift to give a friend than a custom needlepoint ring bearer pillow! 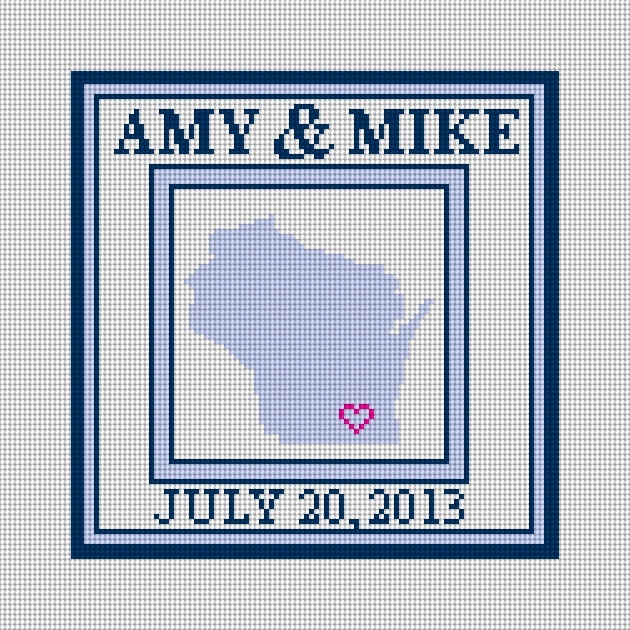 This needlepoint design is heavily inspired by our nautical themed “The Knot” ring bearer pillow design. But my lovely wife found a wedding invitation with a state on it, so I decide to make a new design that can feature any state. Everything in this design is customizable, and all of our pillows can be personalized We can even turn a wedding invitation into a pillow! Contact us if you are interested in us having us create a custom pillow and check out our personalized ring bearer pillow shop to see more needlepoint kits. We’ve been quite busy designing personalized needlepoint belts the last few weeks! I had to share this one, as it really came out well. The flag and eagle with anchor only repeat once, but I would have had to cut them in half to make the preview accurate, so I left them on both sides so you could see them! 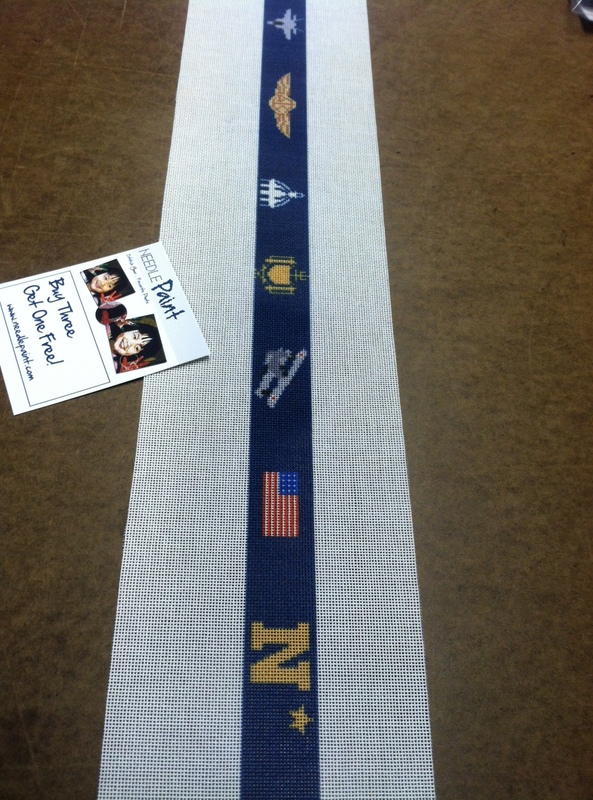 Some of the elements came from our Airplane Needlepoint Belt but new additions were the Eagle with Anchor, the Navy Logo, the Wings, Navy Chapel, and Navy Insignia. If you have any custom needlepoint ideas, let us know! We’ve had a number of really cool needlepoint designs come through recently. Below are three of my favorite needlepoint canvases we’ve made recently. They were created using Instagram. 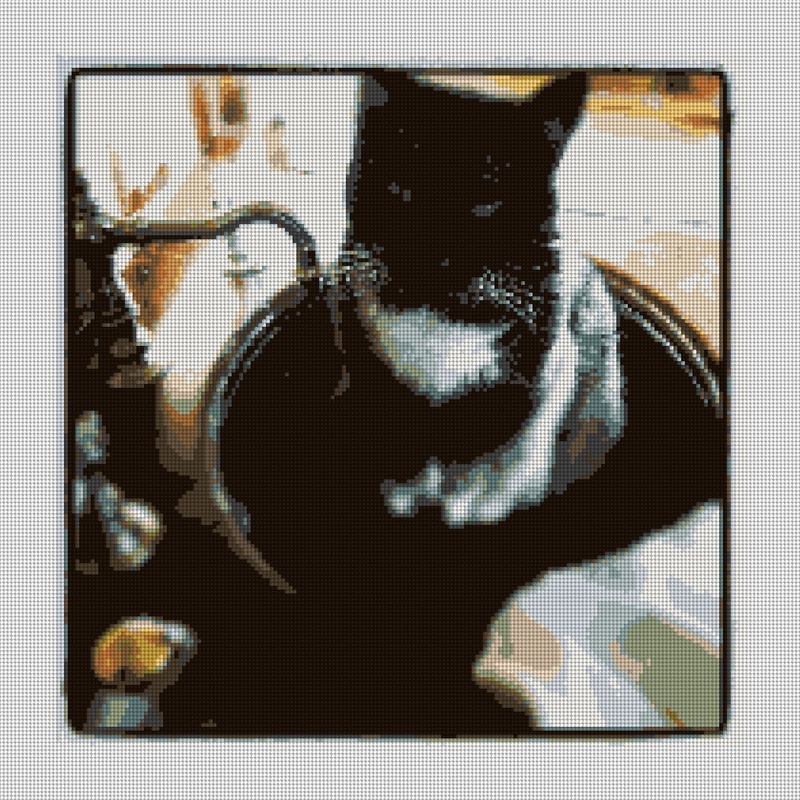 If you are not familiar with this process, the website above and many others use your photos, and turn your photo into a vintage looking image. 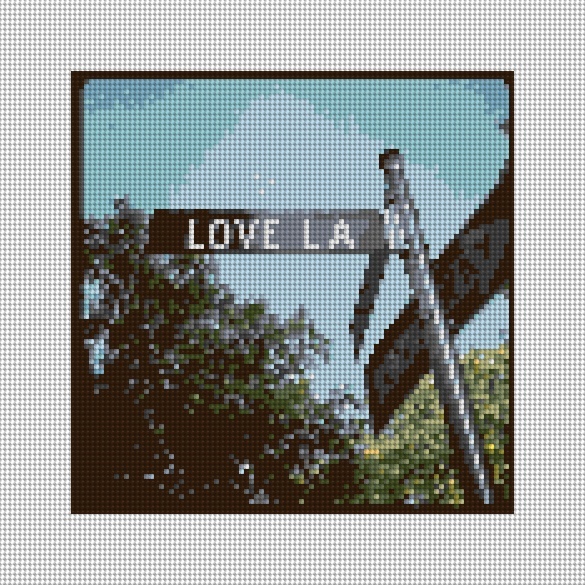 From there, you can save the photo and use it in NeedlePaint.com to make your own photo into needlepoint. That is enough writing, have a look at these cool needlepoint canvases! Sometimes we get requests for hand painted needlepoint canvases, and other times, we’re asked to design canvases that really need a painter’s skill set. Being in the Denver area, we are fortunate to have a local canvas painter that loves to paint animals! 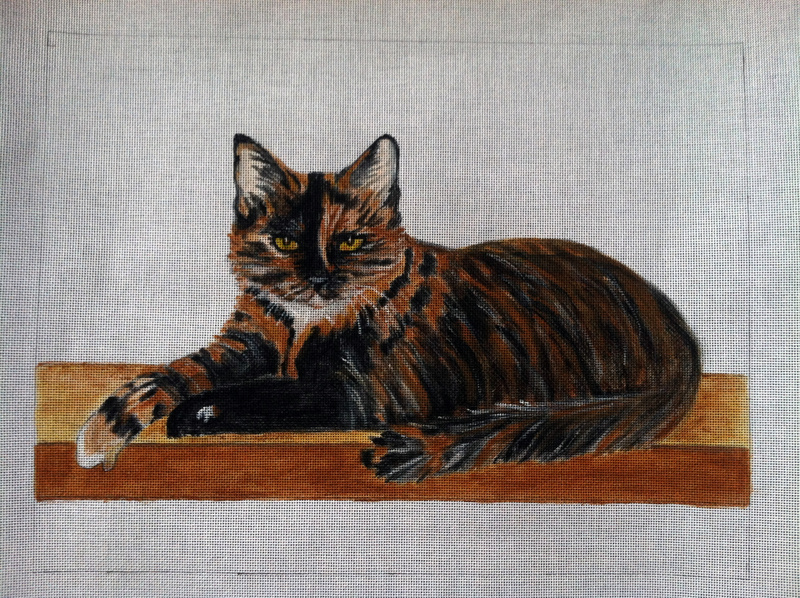 This cat was done for a customer who does not have any single good photo. I spoke with the customer and mentioned that I know a painter who would love to work on this project and interpret all the photos into one design and they agreed. And I’m glad they did! They are loving this custom needlepoint project! If you would like to needlepoint your photo check out our website www.NeedlePaint.com, and if prefer to work hand painted canvases, please email us. Do you know any sailors or yachties? We’ve got the perfect gift idea! Why not get them a personalized needlepoint belt with their yacht name? This belt features a line diagram of the yacht, the name, the boat company’s logo, a lime, and a martini glass. Other ideas for a belt are yacht club burgees, nautical flags, state flags, anchors, the possibilities are endless! Each belt is hand stitched on 18 mesh canvas and uses 100% top grain leather. Or, you can buy a custom needlepoint kit and stitch it yourself! If you are interested in either option, go to our website, NeedlePaint.com, and contact us. Each order is designed to the exact size required, and a digital preview is emailed for approval. 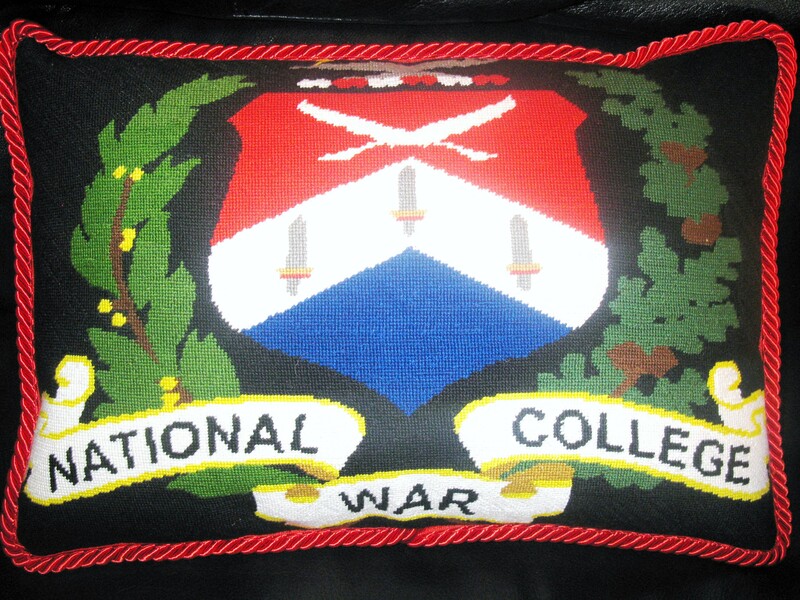 Barbara B recently emailed a picture of the needlepoint pillow she made from a needlepoint kit she ordered from us. Just in time for Christmas, the receiver absolutly loves it, and who can blame them! Look at the great stitching, and the piping really works well with it. Also, the back side is done in a patriotic solid blue velvet plush.